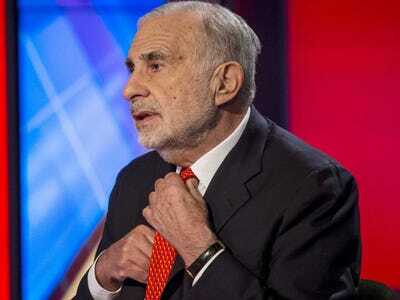 Billionaire investor Carl Icahn’s holding company posted a $US355 million loss on revenues of $US4.4 billion in its third quarter earnings report. Icahn Enterprises took in a net income of $US472 million on revenue of $US5.8 billion at the same time last year. Icahn said in the release that $US270 million of those losses were on the investing side of his business. More specifically, Icahn got clobbered on some energy investments. Now you may be saying to yourself — Apple, Ebay, Hertz, Herbalife… these well-known Icahn investment are certainly not energy companies. That’s because these unsexy segments of Icahn’s portfolio that are often overlooked. Let’s go over them. Icahn tweeted that he had a 6% stake in the company, about 61 million shares of the $US300 million company, over a year ago, Oct. 7th, 2013. In that time the stock has fallen over over 50%. This Icahn subsidiary posted dismal 3rd quarter earnings — down to 9 cents a share from 51 cents a share — due in part to a fire in one of its refineries. 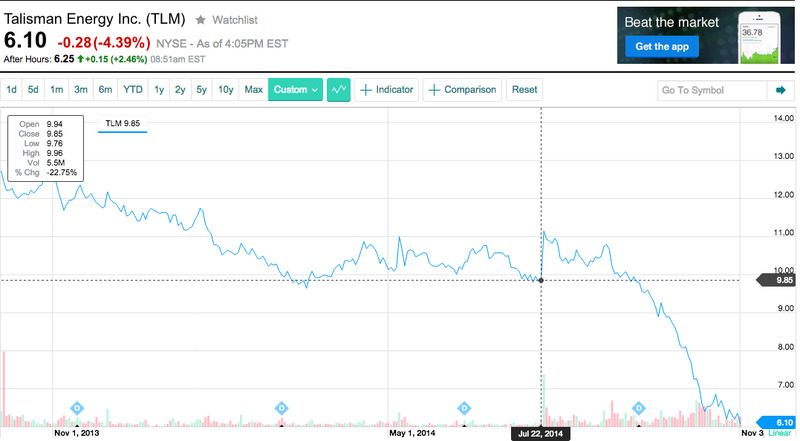 In the period from April 30th 2014 to September 30th 2014 the stock whipsawed down 9%. Not an energy company (auto supply) but Icahn owns 80% of this company, and it posted a third quarter loss of $US18 million. Icahn reported a 10% stake in the Oklahoma-based oilfield services company this summer. In its 3rd quarter earnings the company reported a $US1.8 million loss. 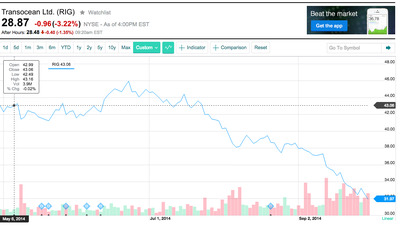 The stock also fell around 7% between the time Icahn acquired it and September 30, 2014. Icahn is the largest shareholder in Chesapeake with 66,450,000 shares, and the stock fell over 15% in the third quarter. According to recent filings Transocean makes up 2.5% of the Icahn portfolio . In the third quarter the stock lost 25% of its value. This, of course, is just one quarter as Icahn himself points out in his note to investors. “As I’ve said in the past, while I am extremely proud of our long term record, there have always been sporadic speed bumps along the road. However, I believe over the long term, our model continues to be one of the best in the world,” he said.